Dogs can provide a wonderful sense of companionship. When, however, larger and/or more aggressive dogs are not properly trained, restrained or monitored, they can harm people – sometimes causing catastrophic, permanent injuries. At Cederberg Law, we are aware of the devastating harm that can be caused by dog bites, dog attacks and other misbehaviors. That is why our attorney is committed to protecting the rights of injured people, helping them succeed in their pursuit of financial recovery. If you or a loved one has been hurt by someone else’s dog, contact us today to find out more about your potential case and your best options for proceeding. When larger dogs and more vulnerable people – like small children or elderly individuals – are involved in dog attacks or harmful play-related behaviors, it’s far more likely that the resulting injuries will be catastrophic, if not life-threatening. Failures to monitor dogs in public settings. 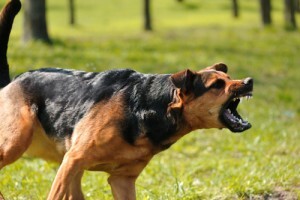 In these situations, dog owners – and possibly property owners – can be liable for compensating the victims of dog attacks. Colorado leash laws – Although there are not currently any statewide leash laws in Colorado, different localities have adopted their own leash laws. When dog owners in those regions fail to abide by leash laws and their dogs attack and hurt people, these dog owners can be responsible for compensating victims for their injuries and losses. Time limits for pursuing compensation – Colorado laws have set strict deadlines for pursuing financial recovery via dog attack cases. In fact, these deadlines, known as the statute of limitations, are generally two years (from the date of the attack). Trespassing and/or inciting dog attacks – While dog owners can be liable for the harm and injuries their dogs cause, liability may be thrown into question if the alleged victim was trespassing and/or was instigating aggressive behavior from the dog when the attack occurred. If you or a loved one has been injured by someone else’s dog, contact a Boulder personal injury lawyer at Cederberg Law to find out more about your best options for financial recovery. For well over three decades, our esteemed legal professionals have been working tirelessly to help injured people obtain justice and compensation after being harmed by others’ negligence. This means that we have the skills, knowledge, insight and resources you can rely on for the best possible outcomes to your case. To meet with us at no cost or obligation to you, call us at 303-499-0449 or email us using the form at the side of the screen. In addition to offering free initial consults and contingency fee options, our lawyers make hospital visits to ensure that you have access to the legal support you need – whenever you need it.